Building on the innovative work of Unformulated Experience, Donnel B. Stern continues his exploration of the creation of meaning in clinical psychoanalysis with Partners in Thought. The chapters in this fascinating book are undergirded by the concept that the meanings which arise from unformulated experience are catalyzed by the states of relatedness in which the meanings emerge. In hermeneutic terms, what takes place in the consulting room is a particular kind of conversation, one in which patient and analyst serve as one another’s partner in thought, an emotionally responsive witness to the other’s experience. Enactment, which Stern theorizes as the interpersonalization of dissociation, interrupts this crucial kind of exchange, and the eventual breach of enactments frees analyst and patient to resume it. Later chapters compare his views to the ideas of others, considering mentalization theory and the work of the Boston Change Process Study Group. 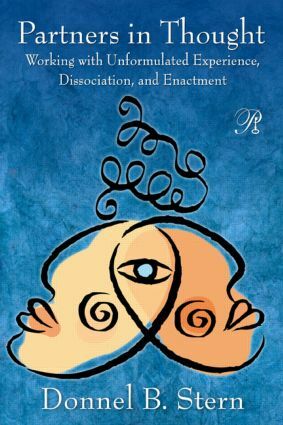 Approaching the link between dissociation and enactment via hermeneutics, metaphor, and narrative, among other perspectives, Stern weaves an experience-near theory of psychoanalytic relatedness that illuminates dilemmas clinicians find themselves in every day. Full of clinical illustrations showing how Stern works with dissociation and enactment, Partners in Thought is destined to take its place beside Unformulated Experience as a major contribution to the psychoanalytic literature.